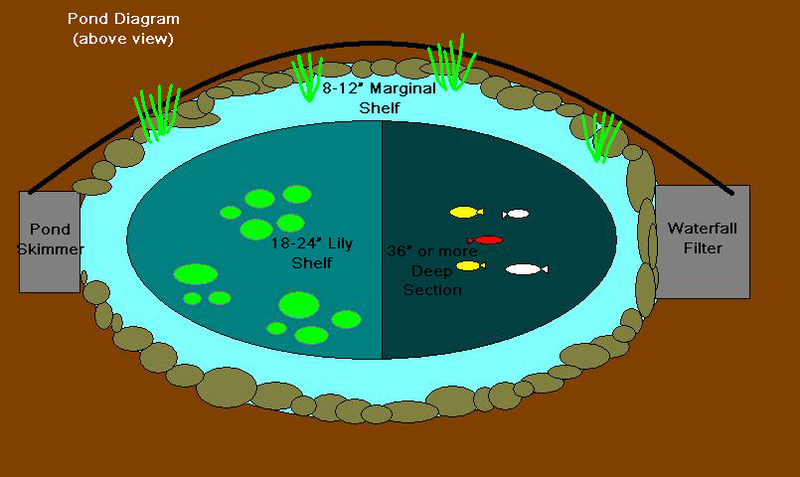 Site Selection & Design — Masterson's Garden Center, Inc.
example: a pond 3’deep, 10’long, 7’wide would require a liner 18’x 15’. 7’x 10’x 2’x 7.5 = 1050 gallons. (7.5 gal/cuft.) NOTE: using a flow meter the first time you fill your pond will give you an exact volume. Knowing the total volume of your pond is important for filtration and circulation, as well as both water and fish treatments. Choose plants from all four categories: floating, oxygenating, deep water and marginal.